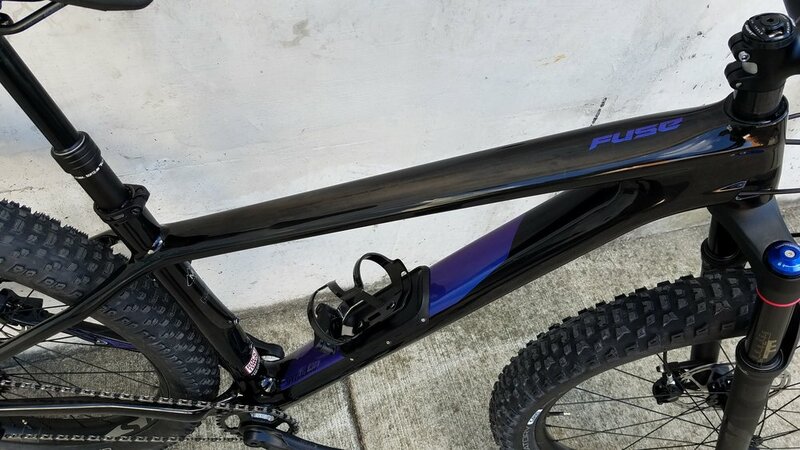 If you love the hardtail mtb life, but still wish for a little extra plush factor, the Fuse is the bike for you! Never before has a hardtail been so fun to ride (especially around here with some of our gnar east coast trails!)! 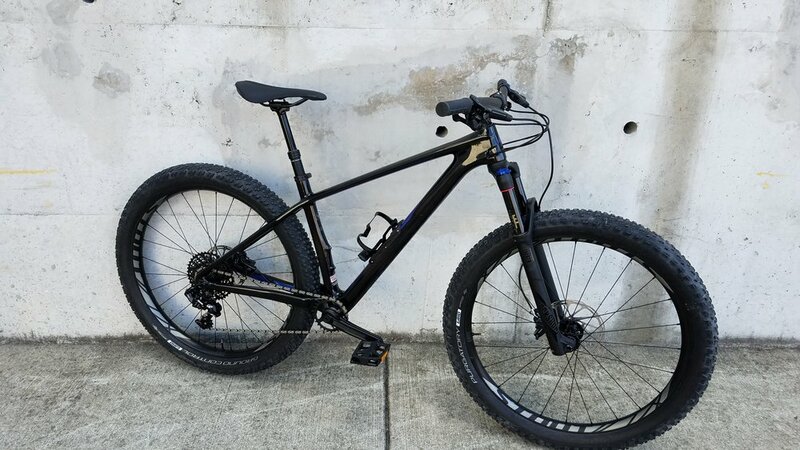 The Fuse Comp Carbon's FACT 10m carbon fiber frame construction blends stiffness with light weight to form the pinnacle of efficiency, while internal routing tubes and integrated an SWAT™ Door create a tidy aesthetic and zero-hassle storage. A RockShox Reba RL fork handles suspension up front with ease, soaking up bumpy terrain with 120mm of plush travel. SRAM's 11-speed GX groupset features a wide gear range that delivers climbing and descending efficiency in spades. On top of this, the one-by setup is notorious for being next to impossible to drop a chain with, plus it provides significant weight savings in comparison to a standard two-by setup. SWAT Door! Great for extra tubes, apparel, and snacks! Big tire clearance whether you run 650b or 29! The SWAT chain tool ensures you will never be without a missing link or a chain breaker!